Djibouti City, Nov 22, IRNA – Majlis (Parliament) Speaker Ali Larijani, who is on an official visit to Djibouti city, the capital of Djibouti, said Iran gives much importance to development of relations with African countries. 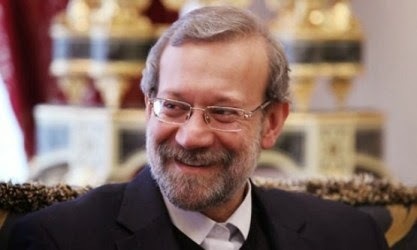 Talking to reporters, upon arrival at Djibouti City on Friday, Larijani said cooperation between Iran and Djibouti is developing and right now, there is extensive cooperation, especially in trade, between the two countries. Referring to the importance of the Horn of Africa and its developments in recent years, Larijani said Djibouti is located in an important area of the world. Speaker of Djibouti Parliament Edris Arnato, for his part, expressed pleasure with Larijani's preence in Djibouti to attend a ceremony to officially open the new building of Djibouti parliament. Djibouti is bordered by Eritrea in the north, Ethiopia in the west and south, and Somalia in the southeast. The remainder of the border is formed by the Red Sea and the Gulf of Aden at the east. Djibouti occupies a total area of 23,200 sq km.